Any comments or other contributed content you provide are categorized as public information. 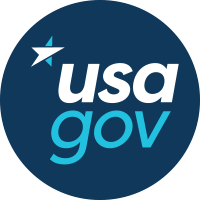 Compilations of your contributed content may be provided to national leaders (without email address) and other individuals participating in U.S. Open Government efforts. Your contributed content may also be made available online to the public and attributed to your name. Suggestions for the fourth U.S. National Action Plan for Open Government submitted through the nap4@gsa.gov email address may be publicly posted on this website and on the GitHub issue tracker if they meet these guidelines. We will reply to your email to inform you that we intend to post your suggestion in the public and attribute your name, but not your email address. This website and associated GitHub repositories enable you to contribute suggestions and post comments. We encourage you to share your thoughts as they relate to the topic being discussed. Your posts will be publicly visible; therefore, the site utilizes a moderation policy to ensure that your posts are appropriate and not harmful to others. We review and moderate posts according to the policy below. The views expressed in posts reflect those of the author and do not necessarily reflect the official views. We want to publish your contributions, but we expect them to be courteous and on the subject matter of this site. To that end, we have established the following policy. Do not submit copyrighted, trademarked or other proprietary material in any form unless you clearly indicate that you have permission to do so. By submitting your posts or other work, you grant the government permission to copy, distribute, display or perform the poster’s work publicly and free-of-charge. We recognize that the Internet is a 24/7 medium and your contributions are welcome at any time. However, given the need to manage federal resources, we intend to review and moderate posts from 9 am – 5 pm Monday through Friday, except federal holidays. We intend to review and moderate posts submitted at other times as soon as possible on the next business day. Additionally, any contributions made to this website through the GitHub platform will be governed by the GitHub Community Guidelines.